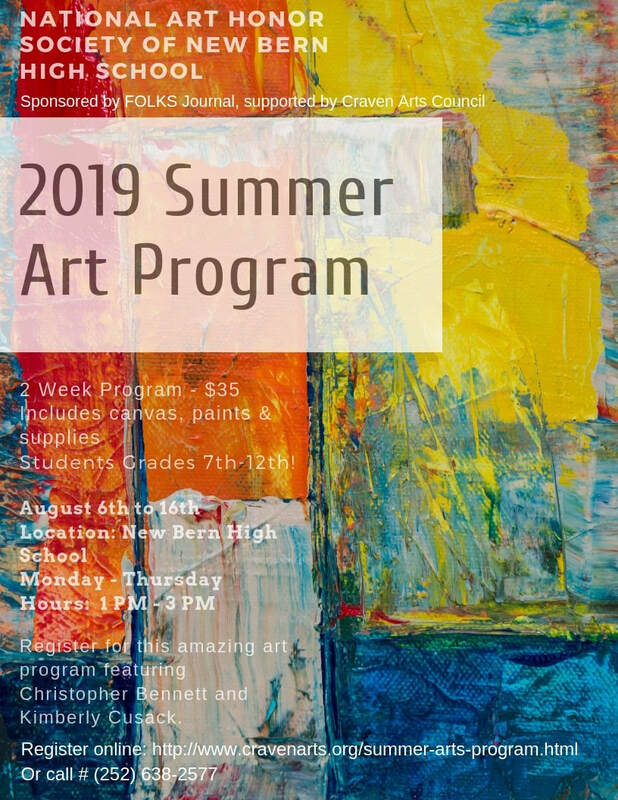 Join New Bern High School and the National Art Honors Society in our 2019 Summer Art Program Located at New Bern High School. Enjoy two weeks of acrylic painting classes and explore new artistic processes and ideas. The program is open to upcoming high school and all high school students. This program is sponsored by FOLKS Journal. Program Registration is handled through Craven Arts Council & Gallery's Community Box Office Program.